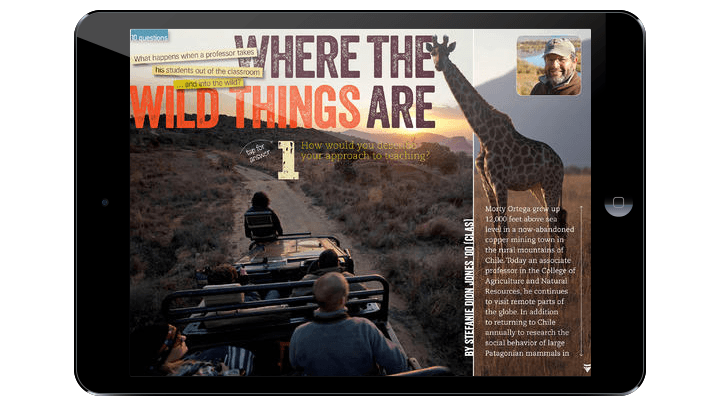 DPCI provided Adobe Digital Publishing Suite consulting services to assist University of Connecticut with the creation of the digital edition of UCONN Magazine on Apple, Android and Amazon Kindle Fire tablet devices. One of America's top research universities, the University of Connecticut (UCONN) is the only public university in New England with its own Schools of Law, Social Work, Medicine, and Dental Medicine. Founded in 1881, the institution serves more than 30,000 students on its six campuses, including more than 8,000 graduate students in multiple programs. UCONN Magazine, the official alumni magazine of the University of Connecticut, is distributed twice a year by the University Communications department to about 200,000 alumni and friends of the institution. The magazine highlights major university initiatives while telling engaging stories about the alumni, faculty, and current students who embody the energy and attitude of UCONN. To take advantage of the latest technologies in publishing, the magazine staff looked to make the contents more accessible to all readers with a free, interactive digital version of UCONN Magazine. The University selected the Adobe Digital Publishing Suite (DPS) Professional Edition to create a rich, interactive version of UCONN Magazine using Adobe InDesign. DPCI was retained to provide Adobe DPS consulting services to facilitate the launch the digital edition on Apple, Android and Amazon Kindle Fire tablet devices. DPCI’s Adobe DPS certified consultants guided the magazine staff through the digital publishing workflow from start-to-finish to ensure quality delivery of the applications in the Apple, Google Play and Amazon marketplaces. 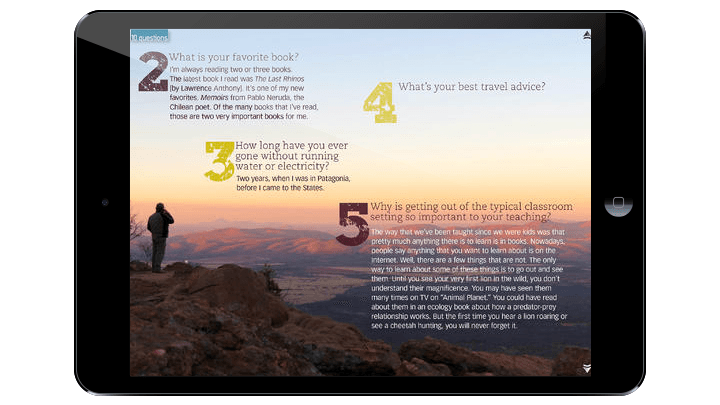 DPCI consultants began with a review of the design concept for the tablet edition of UCONN Magazine and provided recommendations based on best practices for creating Apple and Amazon digital publications. Next, DPCI provided Interactive Design Training to magazine staff focused on tips and tricks for using the Overlay Creator and Folio Builder tools within Adobe InDesign to create interactive elements. DPCI also helped administrators establish necessary roles and permissions for staff members to manage assets bundled within the tablet applications. Throughout the creation and design process, DPCI provided the UCONN Magazine content editors with extended technical support including the validation process for Apple, Google Play, and Amazon applications, multimedia specification requirements and utilizing the Adobe Digital Publishing Suite Dashboard for publishing folios and building apps. 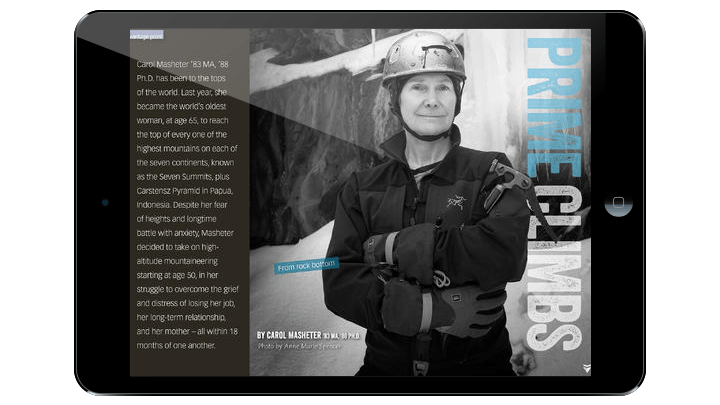 Prior to submission to the app stores for approval, DPCI assisted with the optimization and quality assurance of all assets bundled into the magazine app in accordance with Adobe DPS, Apple, Google Play, and Amazon specifications. 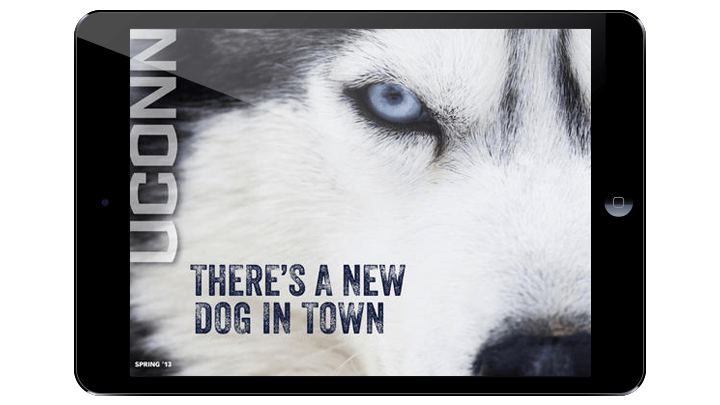 DPCI helped UCONN launch the inaugural tablet edition of UCONN Magazine on Apple iPads, Android and Amazon Kindle Fire devices in August of 2013. With the UCONN Magazine app, readers now have free digital access to feature stories, Q&A articles and University news, as well as a wide range of interactive content about UCONN and its community of alumni, faculty and students. "Overall I am very satisfied with the degree of training I received from DPCI," said Barry Costa, Senior Web Designer, Strategic Marketing Communications at University of Connecticut. "Their timely support and guidance on troubleshooting questions and issues as they arose was immaculate and highly professional."